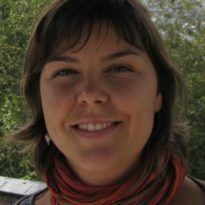 Since June 2012, Rosa has held a joint Research Officer position based in LSE’s Spatial Economic Research Centre and co-financed by the The Grantham Research Institute on Climate Change and the Environment. She is working on a project which evaluates the impact of UK land regulation policy on carbon emissions. Rosa studied Economics (BSc and MSc) in Valencia and Barcelona (Spain). In 2006 she joined LSE, where she completed an MSc in Economics (2007) and a PhD in Economic Geography and Spatial Economics (2012). She has previously worked as a Research Assistant and as a Research Officer at the LSE Spatial Economic Research Centre. She has taught economics and quantitative methods at LSE, both at the undergraduate and the graduate level.